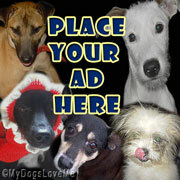 I was reading some books about puppy mills and breeders when I came across this message from the Papillon Club. A reputable breeder never sells puppies to a pet shop or broker, but only through direct contact with the final owner, in order to properly match the dog to the owner and ensure that the owner is ready for the responsibility of dog ownership and can provide a safe and proper home. Before this, I wasn't even familiar of the breed's name. I would have assumed it's some lop-eared Spitz (and that would probably come out as an insult to most owners). The website stated above has a detailed description of the Papand everything you need to know about them. 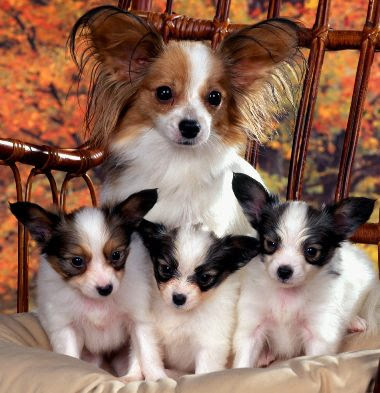 Here's a pretty picture of a Papillon mommy with her cute puppies. Talking about this breed just gave me something new to read about.